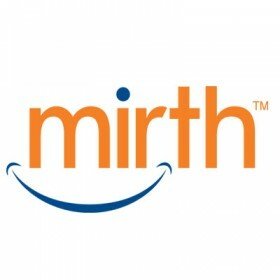 Mirth is a free and open source tool for health care industry. It is a cross-platform HL7 interface engine that enables bi-directional sending of HL7 messages between systems and applications over multiple transports. Mirth Connect uses a channel-based architecture to connect HIT systems and allow messages to be filtered, transformed, and routed based on user-defined rules. Channels consist of connectors (both inbound and outbound), filters, and transformers. Multiple filters and a chain of transformers can be associated with a channel. Get Mirth installation, configuration and support services from our trusted team of experts. Mirth Connect is now used in over 100,000 settings worldwide and has set the standard for ease and speed in getting systems connected, and making healthcare IT staffs productive. And we’ve surrounded this classic Mirth tool with an array of additional extensions, plug-ins and building blocks to allow you to quickly assemble a fully Health Information Exchange solution within your organization or across your community – or let us build it for you.